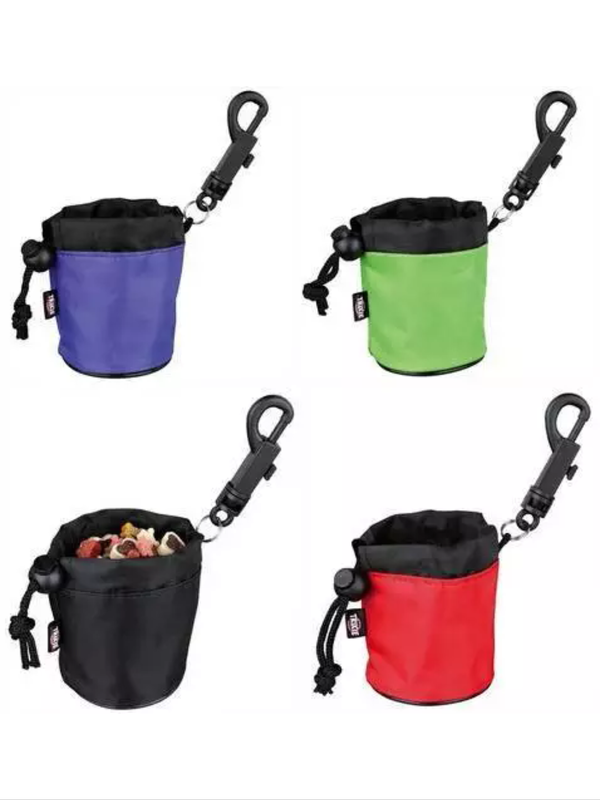 This Mini Snack Bag for dogs is a great accessory to keep on you when out and about with your pet. 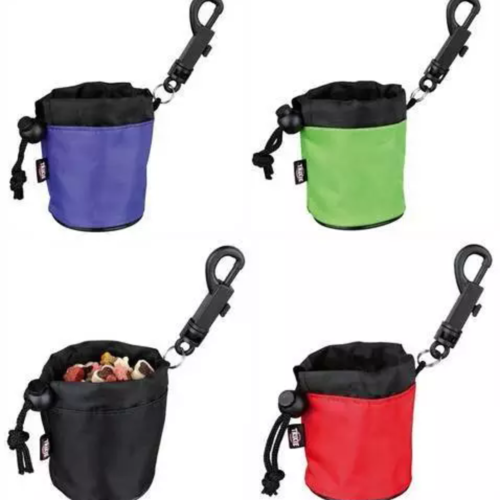 The bag will easily hold small snacks and treats, and allows you to quickly access them to reward your pet for good behaviour so perfect for training and classes. The bag has a hook so you can easily attach it to wherever is most convenient e.g. the lead.